Free VPN Watch TV Online: Bypass Netease Cloud Music's geographical restriction: How to use Netease Cloud Music outside Mainland China from anywhere? Bypass Netease Cloud Music's geographical restriction: How to use Netease Cloud Music outside Mainland China from anywhere? Netease Cloud Music (http://music.163.com)（网易云音乐） is among the top 3 most popular online music streaming services in Mainland China. For those who love Chinese music, Netease Cloud Music is a good service to use. Netease Cloud Music has released its client for Windows and Mac as well as its App for Android and iOS, so you can now enjoy Netease Cloud Music on Windows, Mac, Android and iOS. Moreover, Netease Cloud Music allows users to leave comments and share ideas on all the music and songs. You'll be able to communicate easily with other people who are fond of the same kind of music as you thanks to Netease Cloud Music. 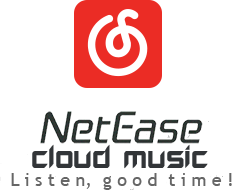 However, like many other online music streaming services, Netease Cloud Music is only available in its own country: Mainland China. If you try to access Netease Cloud Music outside Mainland China, you'll be rejected to play any music with copyright restriction on Netease Cloud Music. But there exist a solution to unblock Netease Cloud Music outside Mainland China: Just use a China VPN to get a Chinese IP and thus to bypass Netease Cloud Music's geographical restriction. When connecting to a VPN server in Mainland China, your original IP will be well hided so that Netease Cloud Music will never know your real geographic location. If you are looking for a reliable free China VPN supplier, I suggest you try FlyVPN's free China VPN service. FlyVPN has over 30 VPN servers in Mainland China, which allow you unblock Netease Cloud Music from anywhere. FlyVPN can be used on Windows, Mac, Android and iOS, you may read VPN tutorial for Microsoft Windows, Mac OS X, Android and iOS for more information. If you still have questions on how to unblock and use Netease Cloud Music outside Mainland China, please ask your question by leaving a comment. I'll answer your question as soon as possible.